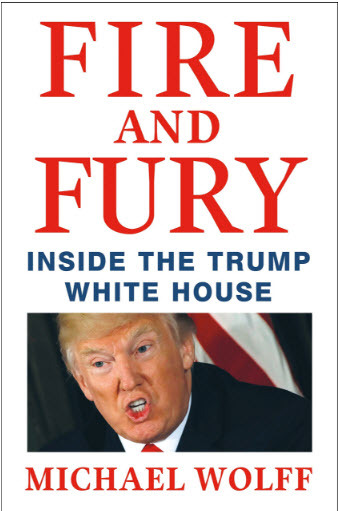 Fire and Fury by Michael Wolff has abruptly ended the bromance between President Donald Trump and Stephen Bannon. The book is full of explosive quotes from Bannon and other White House insiders. It is already the #1 bestselling book on Amazon days ahead of its release thanks to quotes and excerpts from the book viraling on social media. Bannon told Wolff that Donald Trump Jr.'s Trump Tower meeting with Russians linked to Vladimir Putin was "treasonous." He also warned the Russian probe is focused on money laundering. He said, "They're going to crack Don Junior like an egg on national TV." The book also says that Trump never wanted to be president and did not think he would win. It says he was not interested in learning about the U.S. Constitution. It also says Trump eats cheeseburgers in his bed at the White House. Newsweek has gathered over a dozen more revelations from the stunning book. The White House is pushing back against Wolff's book. White House Press Secretary Sarah Sanders says Fire and Fury is "filled with false and misleading accounts from individuals who have no access or influence with the White House." However, Trump did appear to acknowledge Bannon's quotes as accurate when he quickly responded with a statement saying Bannon "lost his mind" after leaving the White House.